I had the pleasure of attending NRF 2018 in New York City, and I must say that the self-proclaimed “Retail’s Biggest Show” did not disappoint. AI, big data, voice, and augmented reality companies were out in full force. After attending a good number of the tracks, three main ideas about how to win in the next year seemed to rise above the fray: focus on pricing, deliver value to your customers, and enhance your user experience. It was also clear that some of the big retailers are starting to position themselves as technology companies. Kroger showcased their product called Kroger Edge, a shelf-based digital display that not only shows dynamic product prices, but also rotates to show advertisements and products’ nutritional information. Think rotating digital billboard ads like those you see at your local gas pump. The plan is to have this new technology installed in 200 Kroger stores nationwide by the end of 2018. You’ll see them first at the end-caps, and then at the regular aisles. I spoke to Kevin Fessenden, Manager of Research and Development for Kroger Technology, who said that they plan on selling their solutions to non-Kroger retailers. This capability would allow stores to seamlessly adjust their prices and even offer personalized experiences to shoppers right where they make their purchase decision. 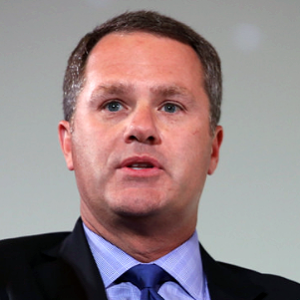 Walmart CEO Doug McMillan called his company a technology company after being named The Visionary at the NRF Foundation Gala on Sunday. Walmart’s $3B acquisition of Jet.com followed by other acquisitions of ShoeBuy, Moosejaw, and Bonobos signals its serious commitment to eCommerce and enabling technologies. But wait, there’s more. Walmart also started its own technology startup incubator, Store No. 8, in Silicon Valley. From robots scanning your store shelves, software systems that use lights and mirrors to provide shelf location of items, to store-traffic counting software, NRF 2018 was dripping in mind-blowing retail tech. With more than 35,000 attendees and 3,400 retail companies represented, getting through the show could be overwhelming. At the “Brick and Mortar Store Strikes Back” discussion panel, Jason Breazeale, Senior Manager of Innovation at Ahold Delhaize, had a tip for attendees. “I usually visit the vendors in the perimeter of the expo halls, because those are the true innovators. I don’t spend much time in the center-hall. Those small companies will have the latest technology that just might get you your competitive advantage,” he said.